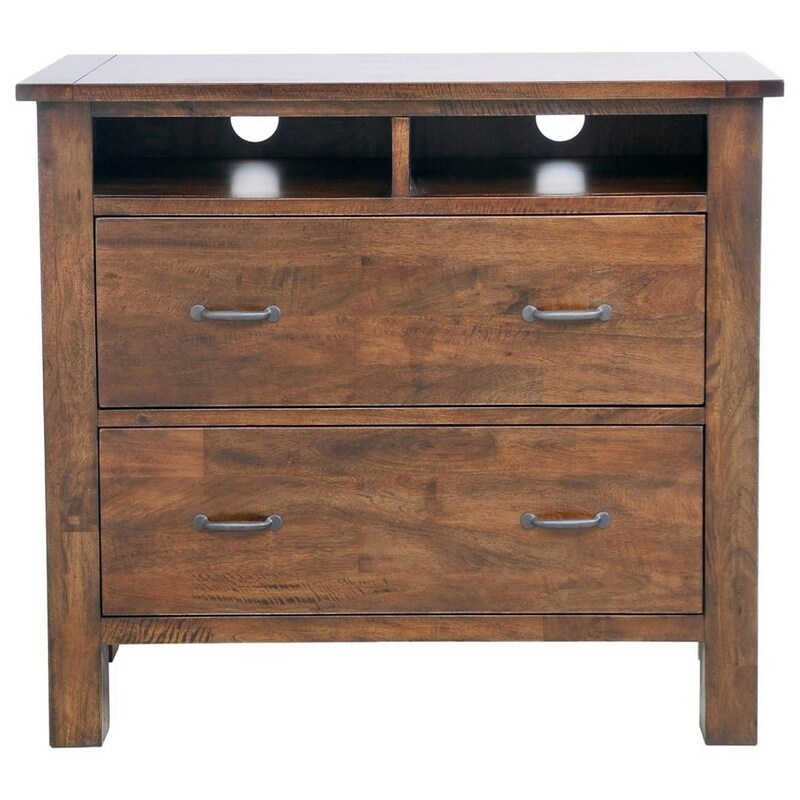 With planked sides and block feet, this media chest has a rustic design while offering modern convenience. The chest offers two open compartments with wire management to easily and safely set up your media components. The Green Valley Media Chest with 2 Drawers by Napa Furniture Designs at Zak's Home in the Tri-Cities, Johnson City, Tennessee area. Product availability may vary. Contact us for the most current availability on this product. Planked detailing and simple lines with block feet give this bedroom collection a rustic mission look. Ample storage options give you everything you need to complete your warm and cozy bedroom retreat. The Green Valley collection is a great option if you are looking for Rustic Casual Mission furniture in the Tri-Cities, Johnson City, Tennessee area. Browse other items in the Green Valley collection from Zak's Home in the Tri-Cities, Johnson City, Tennessee area.